"The inspiration of my tower comes from the Tower of Babel in the Bible," artist Shen Bolun told AFP, referring to the origin story explaining why people speak different languages. 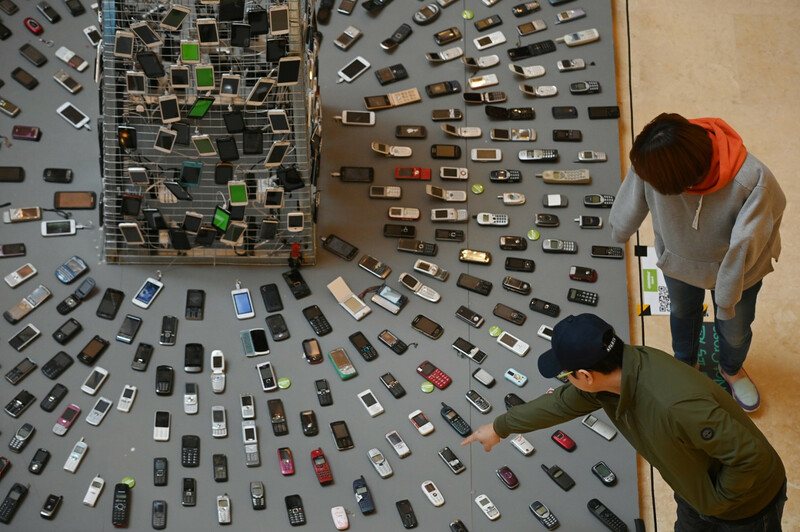 "I originally thought environmental protection is waste sorting, but I didn't realise cellphones could be recycled and used again," said primary school student Li Jiaxing, who was viewing the artwork with his mother. "After seeing this tower, I decided to donate my old cellphone here to make use of its remaining value." China's waste from computers, mobile phones, and other electronics will reach 15.4 million tonnes by 2020, said environmental group Greenpeace, which organised the display. "If these metals are recycled, we can reduce mining and damaging the environment," she added. But there are still many barriers -- many are either unfamiliar with the recycling procedures or have privacy concerns about the prospect of someone else handling their personal devices.